– Forecasts for More than 85 Countries. 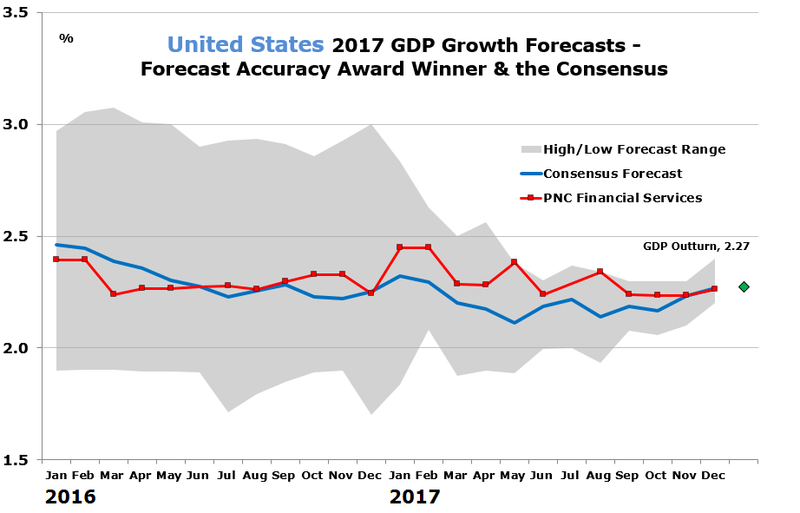 We undertake periodic special surveys for long-term forecasts, quarter-by-quarter forecasts and many other economic-related topics. Our approach faciliates the tracking of Individual and Consensus Forecasts, allowing you to spot a prospective downturn and subsequent upswing relatively early. 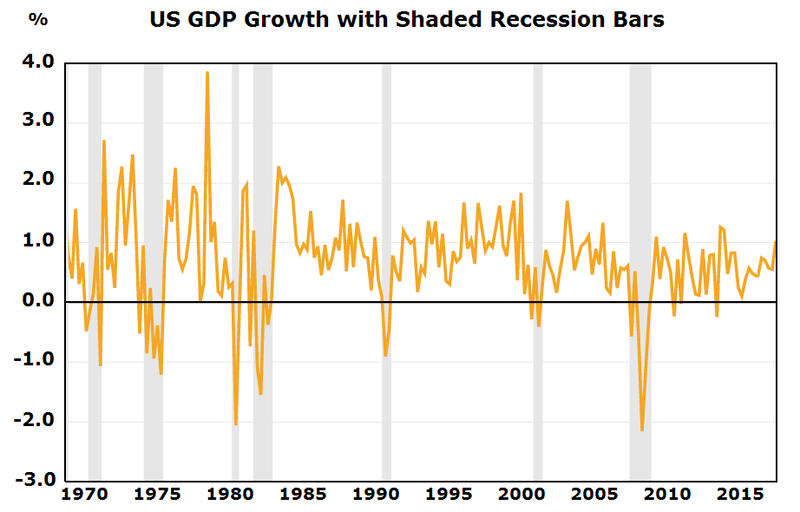 United States: Residual Seasonality in GDP – Mirage or Real? Indonesia: The Approach of Policy Constraints? Commodity Outlook – Is it Safe to Get Back in the Water? UK: Regime Change at the BoE: Is the ‘Old Lady’ About to Be Shaken Up? US: Would a Return to a Gold Standard Help? Sovereign Debt Crisis: Where Do We Stand? Greek Devaluation: Is It Such a Good Idea? Global Economy: Relapsing into Recession? What Happens if the Renminbi is Floated? Are ECB Rate Hikes Going to Finish Off the Periphery? Are the CEE Countries Better Credits Than the EMU Periphery? Back to Balance: What’s Next For the US Housing Market? Tariff Race in the 1930s – Subsidy Race Today? Special Surveys in February include Trends in Productivity and Wages (CF and CF-USA) and Economic Policy Evaluation (LACF). In March we survey for Quarter-by-Quarter Forecasts for the G7, Western Europe and Asia Pacific economies. In April we poll for Long-Term 5-10 year forecasts for the G7, Asia Pacific and Latin American economies; those for Eastern Europe feature in March. 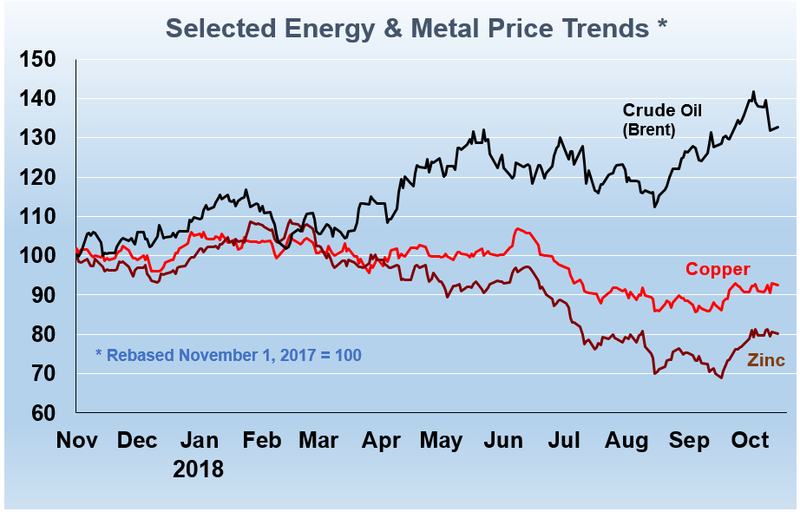 The April edition of Energy & Metals Consensus Forecasts includes a Special Analysis of Seasonal Commodity Price Patterns. In June we survey for Quarter-by-Quarter Forecasts for the G7, Asia Pacific and Latin American economies. Eastern Europe quarterlies feature in May. In our July surveys, we evaluate global monetary and fiscal policy conditions and assess likely policy directions over the next 12 months. The July edition of Energy & Metals Consensus Forecasts will feature a Special Survey on Factors Affecting Commodity Prices. In September we poll for Quarter-by-Quarter Forecasts for the G7, Western Europe and Asia Pacific economies. 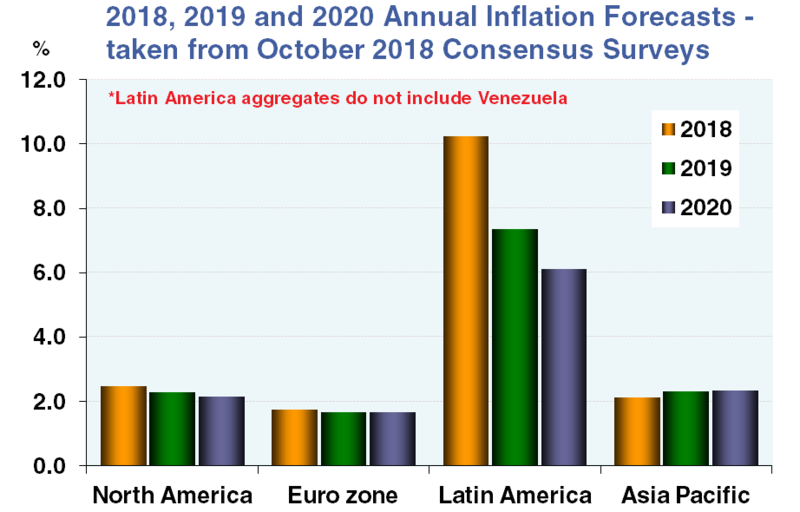 In October we survey for Long-Term 5-10 year forecasts for the G7, Asia Pacific and Latin American economies; those for Eastern Europe feature in September. Our November publications focus on forecasts for RealInterest Rates and Corporate Profits, as well as Foreign Direct Investment in Asia Pacific. 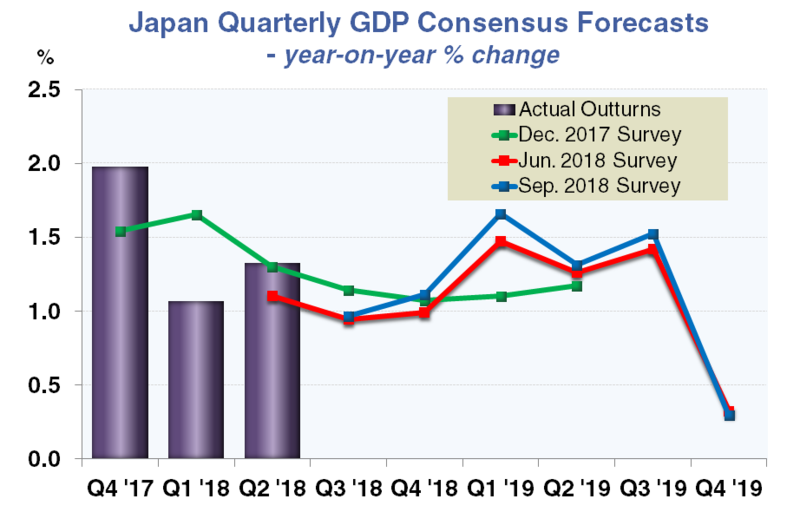 In December we survey for Quarter-by-Quarter Forecasts for the G7, Western Europe, Asia Pacific and Latin American economies. In January, Consensus Economics surveys panellists for their 2017 and 2018 forecasts, as well as the risks associated with non-consensus outcomes.